Meat lovers rejoice! Not one, but TWO new BBQ places have opened in Pittsburgh. Kevin Sousa, who opened Salt of the Earth last year and Station Street Hot Dogs a few weeks ago – officially opened Union Pig & Chicken this eve. 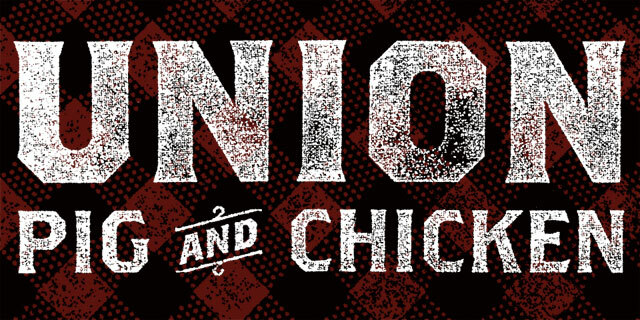 Union Pig & Chicken is Located on Highland Avenue a few blocks from the intersection of Highland and Penn. There is indoor seating, the menu is available online at www.UnionPGH.com. They offer a selection of meats, sides, whiskey & burbon cocktails and beer from East End brewing. Thanks to a loyal reader we learned that YinzBurghBBQ opened recently on Baum Blvd. (it is across the street from the GetGo on Baum and Morewood). While there isn’t much available on the website www.YinzBurghBBQ.com, I drove past this evening and the place was packed. It looks like it is mostly take out with one or two tables.